Ren Zhouyuan, who loves to study Chinese culture since childhood, has never imagined that his own life would one day be subverted by a foreigner. 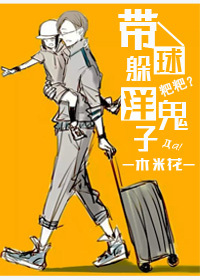 Lately, I was into MPreg tag, so this novel really suits my taste. It started with MC already have a child with him (ML 's child) and this novel tells a story on how he struggles to raise a child alone while being a college student during that time. Later on, he works at ML's company and realised that ML already has a fiancee. ML, on the other side, really love MC, but he didn't tell the truth (he didn't admit that he knew MC, he treated MC like a stranger) until he knows that MC somehow pregnant and gives birth to his child. Their interaction is sweet and sour (especially the parts where MC and ML misunderstand each other) but their children are cute (●♡∀♡), so why not read it? A good drama + slice of life novel. The story plot is nice and it keeps us hook. MC is a chinese while ML is a Russian, both of them had one night stand, which somehow leads to MC to be pregnant, although he is a guy. I love the story so much that I risk boiling my brain MTL this novel and it was worth it! To be honest the speed in the translation is low as a snail so if you really like this novel it's better to use Google translate to read it, cus it's fairly understandable and you get a good gasp of the things that happen. The fluff ball is so precious, and the atmosphere is so nice and relaxing. Really love it though the number of chapters is still just a few, liking it so far. The story is cute so far.I hope MC would not think to prevent the child meeting with ML anymore. Hoping for more updates. Beautiful story.. Only a few chapters have been translated yet but I'm already in love. It goes a bit into a psychology of parents with mixed children and the things mixed children suffer through. I pity the MC and his child. Hope things get better for them and they manage to stay strong and face all everything with strength.